Is This the iPhone’s Most Advanced E-reader? Barnes and Noble just overhauled its iPhone and iPad Nook e-reader apps, applying some spit and polish and a bunch of new features. 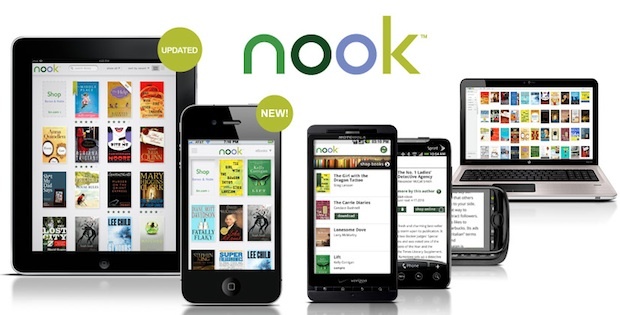 It shows the bookseller thinks of the Nook app as its future, as much as — or perhaps more than — the Nook device. E-books, as Amazon already knows, are all about the ecosystem. The iPad app also boasts the first (or so say B&N) in-app book rating power for e-texts, a feature requested by customers. Meanwhile, the desktop app got some extra features, and a more prominent branding. This app refresh, coming so swiftly after the initial launch, proves one more thing: B&N is very, very serious about the Nook apps. Though the company’s innovative Nook e-reader is important for now, dedicated e-reader tech seems destined to be sidelined by more-capable tablet PCs, such as the iPad and its imitators, very soon. That means B&N’s bookselling destiny hinges on developing apps like this–and by beating the Kindle app to some of these features, it is definitely taking the battle to Amazon’s front door.